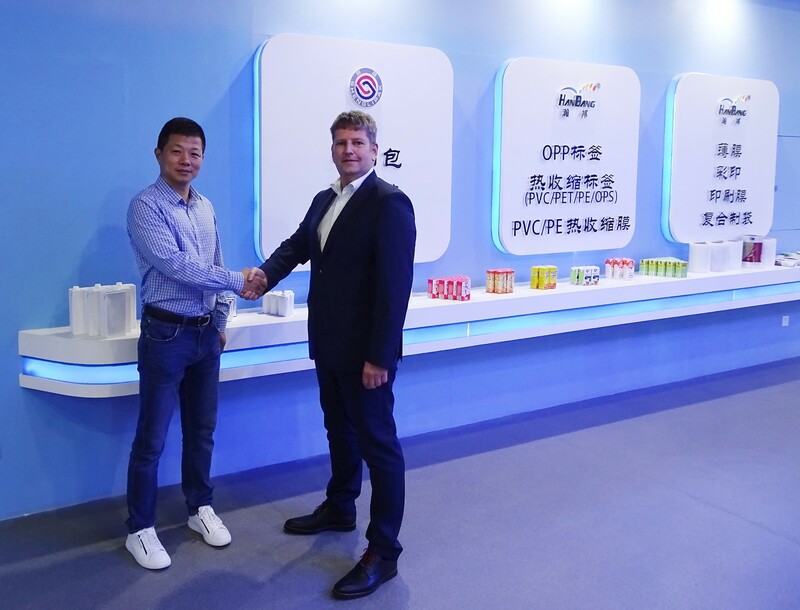 Mr. Li, Vice General Manager, Xiamen Yingsheng (left) and Holger Volpert, Sales Direc-tor Heidelberg Web Carton Converting GmbH (right). Xiamen, China (CN) – To take advantage of the growing market for Aseptic Liquid Packaging, in 2012 Xiamen Yingsheng made a strategic decision to open a green field production facility. With a total investment of almost 40 Mio. Euro and a workshop-area of more than 100.000 sqm., they were able to produce 6 billion packs per year in the first phase. Soon they satisfied more and more customers with their quality and reliable production perfor-mance. 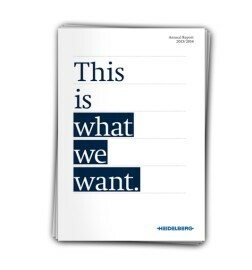 “Yes, we have decided for Heidelberg, which is first class production machinery, and yes, it was a high investment” - Mr. Li, Vice General Manager says. “However it paid off, because we convinced big groups to become our customers”. One of those first class machines is the Heidelberg Intro , formerly known under the name of Gallus INTRO. In 2014, Gallus became a full-fledged member of Heidelberg group, the biggest printing machine manufacturer in the world. The web-press folding carton and paperboard division of Gallus was renamed at that time to Heidelberg Web Carton Converting (WCC). Xiamen Yingsheng’s Intro, a 7 color web-printing press which produces the Aseptic paper material at a width of 1340 mm and a max. speed of 500 m/min. is a key factor in the safe production process. The entire machine was quickly installed and operators were trained by the Heidelberg experts. The ergonomic design, intuitive operating concept and easy accessibility make the Intro to a particularly user-friendly machine. In case of additional support-requests, the staff has access to Heidelberg WCC’s 24/7 service hotline. Despite being a newcomer to the Liquid Packaging business, Xiamen Yingsheng has grown very quickly, and this has led to a demand for additional production capacity. Due to the positive experiences with Heidelberg WCC, its team and the Intro-machine, there was no doubt in their mind that continuing this successful cooperation with the purchase of a second press by end of 2018. Mr. Li states: “We are very convinced that this further investment is another step on our further growth and continued partnership with Heidelberg WCC”. The new machine will be installed in 2019 and will double the printing capacity of Xiamen Yingsheng. 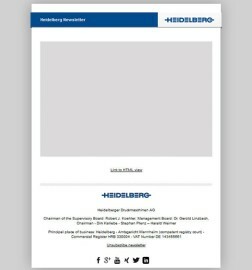 Based in Weiden, Germany, Heidelberg Web Carton Converting GmbH (HWCC) is the webfed flexo press division of Heidelberger Druckmaschinen AG (Heidelberg). Providing integrated Inline Webfed solutions, HWCC complements the market leading position of Heidelberg in the world of packaging. Utilizing the most powerful Sales- and Service network in the industry and overseeing the biggest installed base in the market, HWCC provides the longest experience and broadest application know-how to enable packaging printers not only to cope with new challenges, but also to exceed customer expectations. 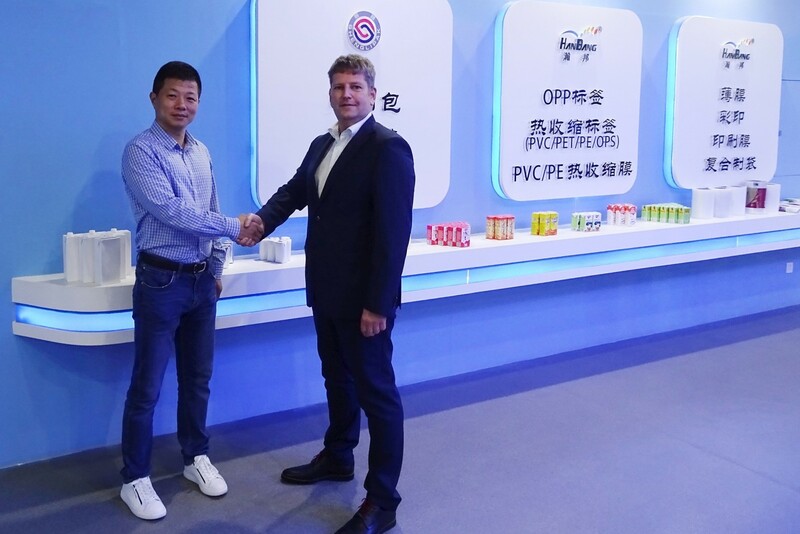 Mr. Li, Vice General Manager, Xiamen Yingsheng (left) and Holger Volpert, Sales Director Heidelberg Web Carton Converting GmbH (right). 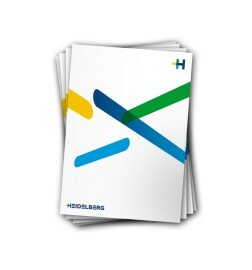 Would you like to receive all Heidelberg press releases regularly?